TransUnion, 2.2 million homeowners who lost their homes during and after the 2009 recession have been returning to the market in recent years and will continue to over the next few. These “boomerang buyers” have met the waiting requirements for securing a mortgage after a bankruptcy, foreclosure, or short sale. And depending on when they lost their homes, many are seeing those events fall off their credit reports entirely, giving them a clean slate with which to pursue homeownership again. If you fall into this group, here’s how to make sure your dream of owning a home doesn’t turn into a nightmare—again. The waiting period for financing depends upon many factors including the terms around which you lost your home, the circumstances that led to the loss, and the type of loan you wish to secure. Generally, buyers who lost their homes to foreclosure must wait seven years, while those with a short sale need only wait four. If extenuating circumstances existed, waiting times are reduced to three years and two years respectively. Below is a summary of waiting periods for conventional loans. The ability to purchase outside these limits depends upon your lender’s guidelines. Requirements for FHA and VA loans differ. As with all borrowers, your total debt load plays a significant role in your ability to secure a loan. As a boomerang buyer, lenders especially want to know you will not be overextending yourself with this new loan. Aim to prioritize paying off as much debt as possible to stay well below your lender’s debt-to-income ratio, and avoid applying for any other new credit as you gear up to purchasing. As a boomerang buyer, more weight will be given to your down payment, especially if you are looking to purchase before your waiting period ends. A minimum of 5 percent down is required for conventional loans, but a down payment of 20 percent or more will eliminate the need for Private Mortgage Insurance (PMI). Naturally, the more you can put down the better. FHA loans are an attractive option for boomerang buyers as they require only a 3.5 percent down payment. However, they come with many fees, both upfront and throughout the life of the loan, diminishing your purchasing power. Knowing what’s on your credit report is crucial. Be sure all information is accurate and dispute any that is incorrect. Depending on how much time has passed, the history of your foreclosure, short sale, or bankruptcy may have dropped off your credit report (generally seven to ten years), putting you on a level playing field with buyers without a negative event. Some reports will estimate the date your negative marks will fall off which can be helpful as you consider when to apply for financing. You can access your credit history for free from each of the three major bureaus at annualcreditreport.com. Homebuyers are commonly advised to buy as much home as they can afford—which sometimes results in buying too much house and not leaving any room for the unexpected. As a boomerang buyer, you likely know this all too well. This time around, consider forgoing conventional wisdom and keep your mortgage payment significantly lower than what the banks will allow. 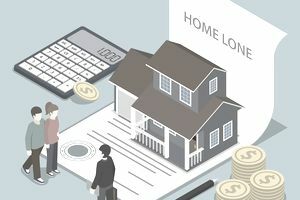 While mortgage criteria are more conservative than a decade ago, buyers can still find themselves over their heads but within their bank’s lending limits. Use your best judgment to determine just how much you are comfortable with borrowing. As you walk down the path to homeownership again—this time more experienced and wiser—follow these tips to make sure this homeownership experience is a successful one.